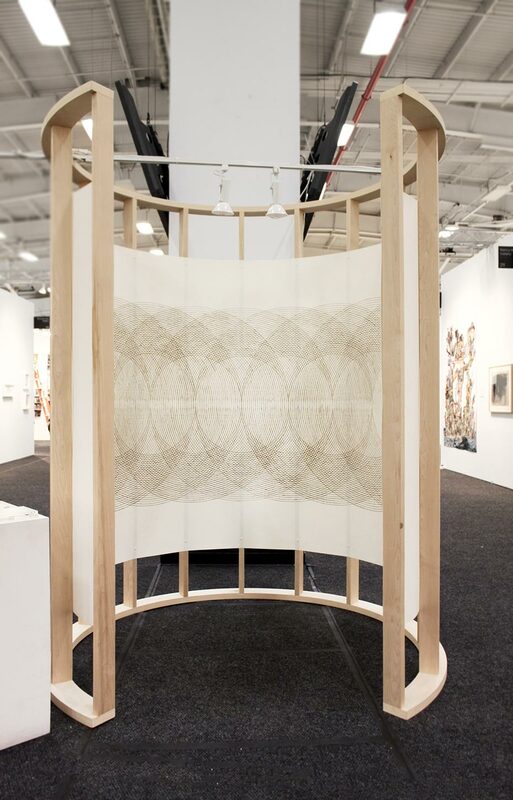 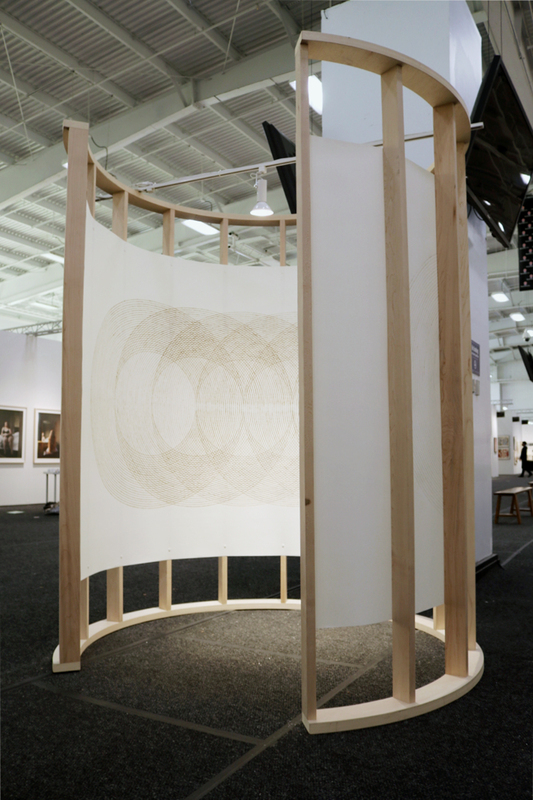 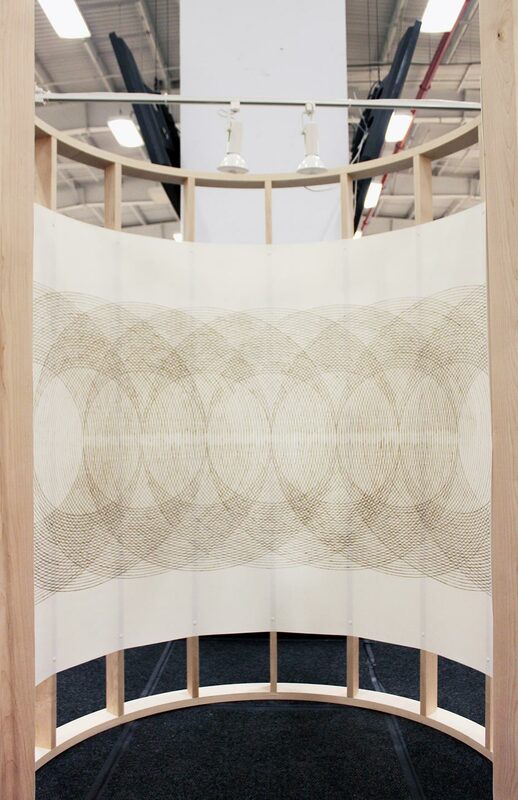 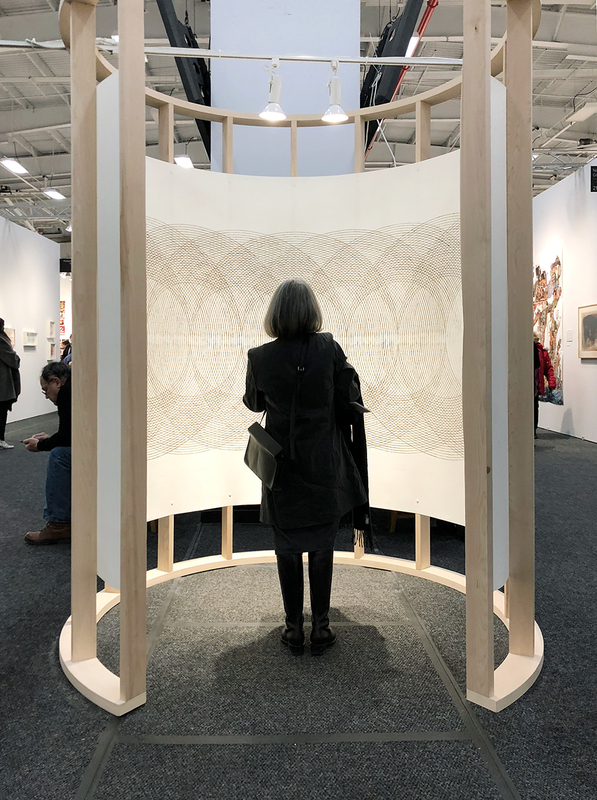 For Art on Paper 2019, Katrine Hildebrandt-Hussey created “Shifting Center”, a 16-foot long burnt paper drawing-as-architecture. 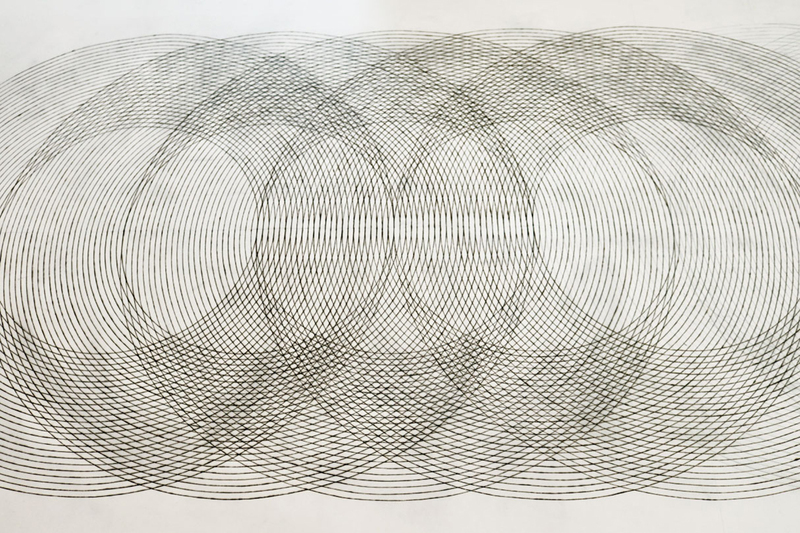 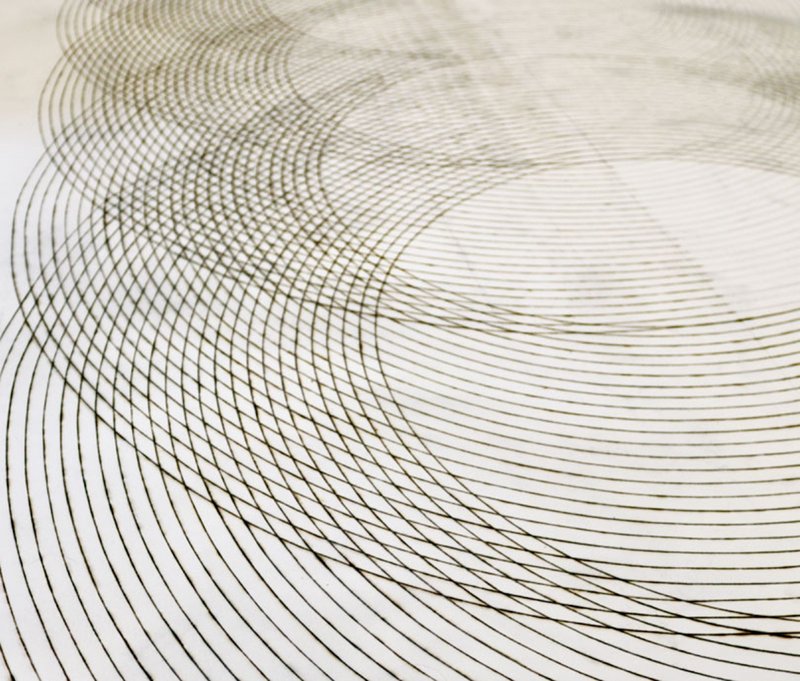 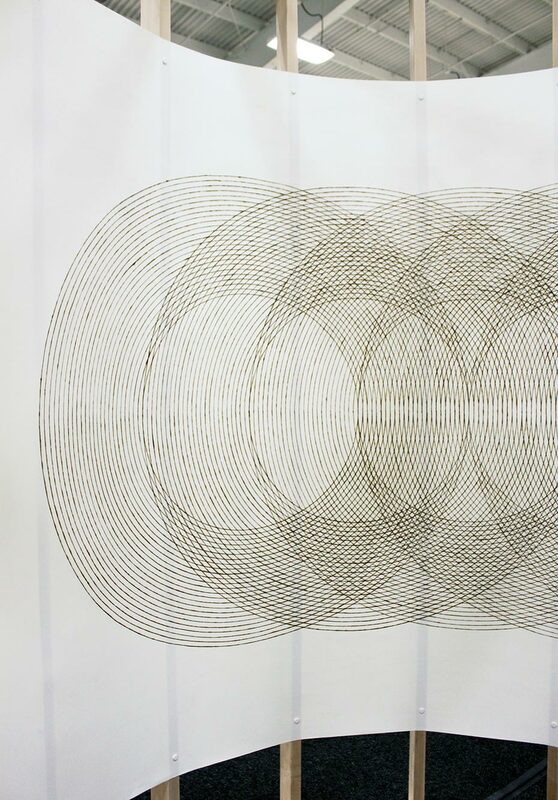 Nine sets of concentric, hand-burnt circles shift across the paper in a meditation on pattern, ritual, and presence. 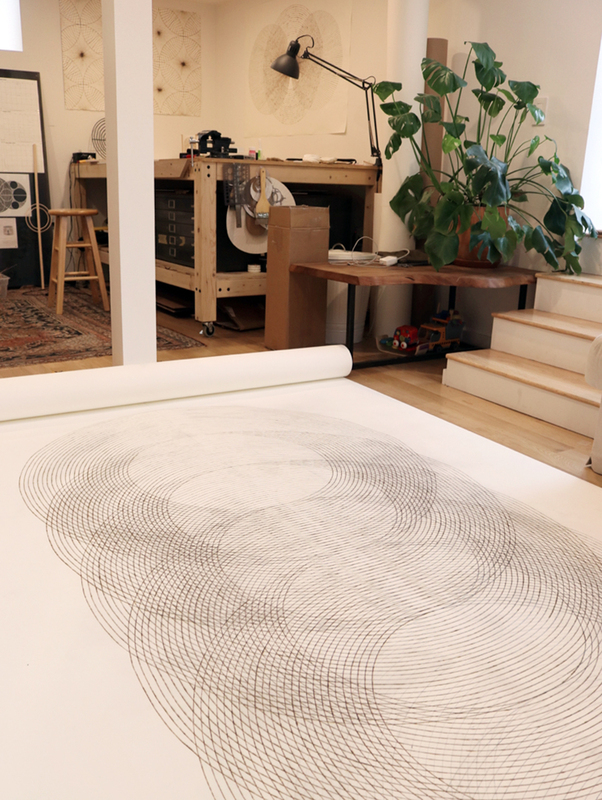 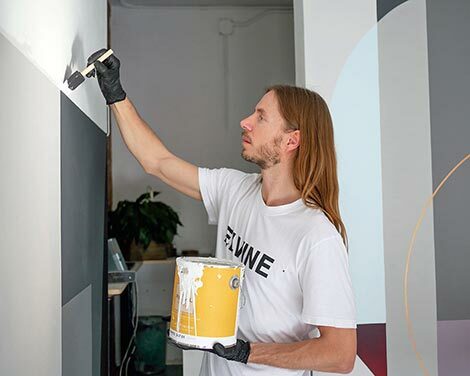 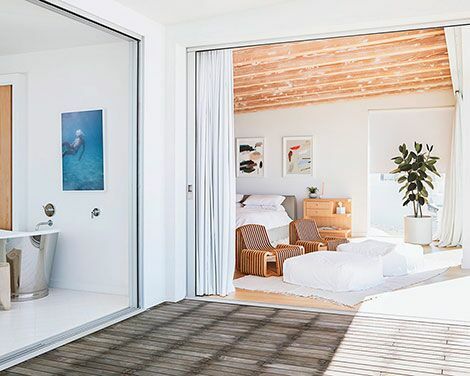 “Shifting Center” aims at creating a sanctuary and meditative space where all are welcome to enter, sit, or stand to look inward.